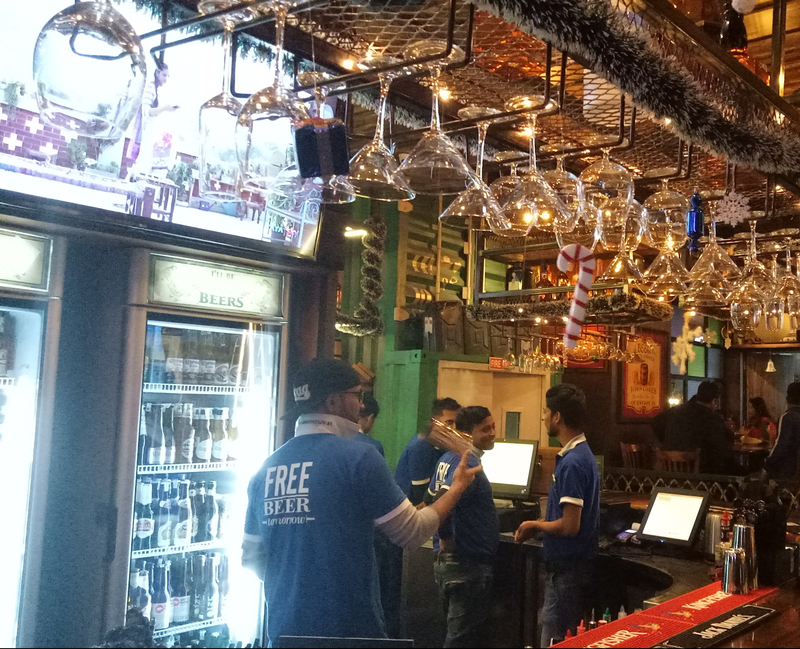 A few months back, The Irish House Nehru Place was set up in Epicuria, Nehru Place(The Violet Line Metro Station) located next to Socials Nehru Place and Nandos.They have some awesome food and drinks. A perfect place to spend a lot of time especially to enjoy the bar section. The decor is themed based which is wooden-decored area is more significant than life, they have outdoor seating as well. Brick walls with logo Irish house posters. The entire area was packed, bustling & energetic during our visit. The area has some cool posters, graffiti and funny quotations. 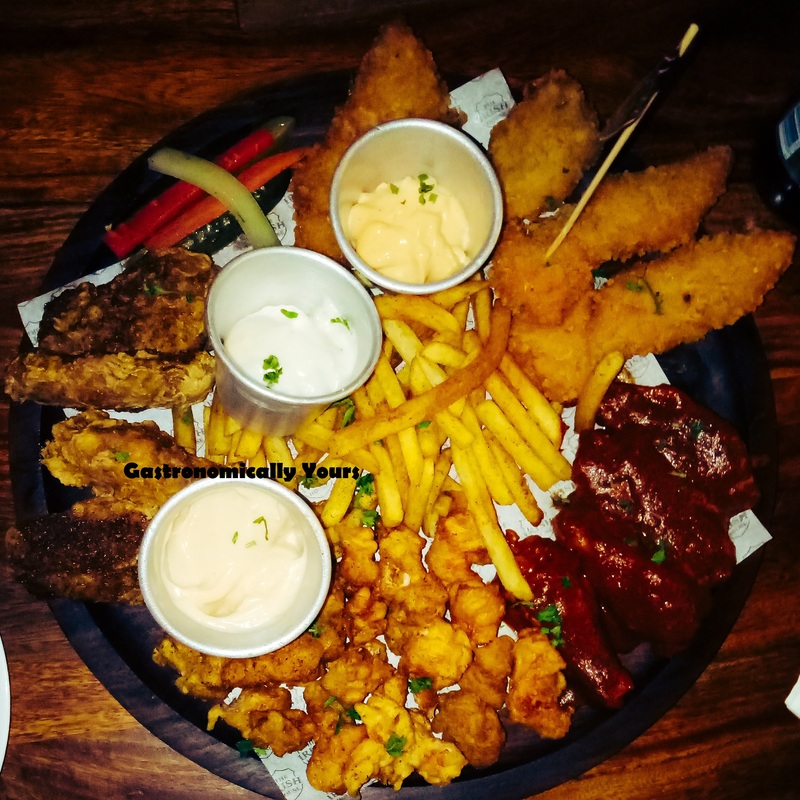 The Headless Chicken Platter(Rs.995)- The platter has delicious Chicken Tender, Belfast Wings and Chicken Popcorn served with three types of mayo dips (the garlic mayo, tomato chipotle & chilli mayo). This platter is sufficient for two people. Herbivores Basket(Rs.495)-Complete platter for vegetarians. A Platter which has fried carrots, sweet potatoes fries, baby corns, onion rings served with chilli mayo and red yoghurt dip. 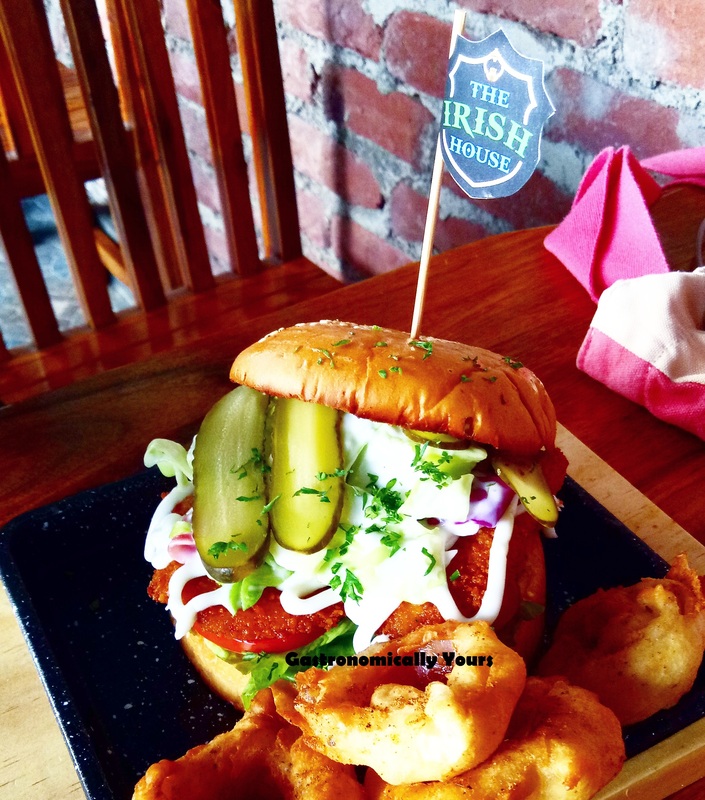 Fried Fish Fight(Rs.375)- A burger which has a fish fillet topped with thousand island seasoning, house slaw, gherkins and served with onion rings. 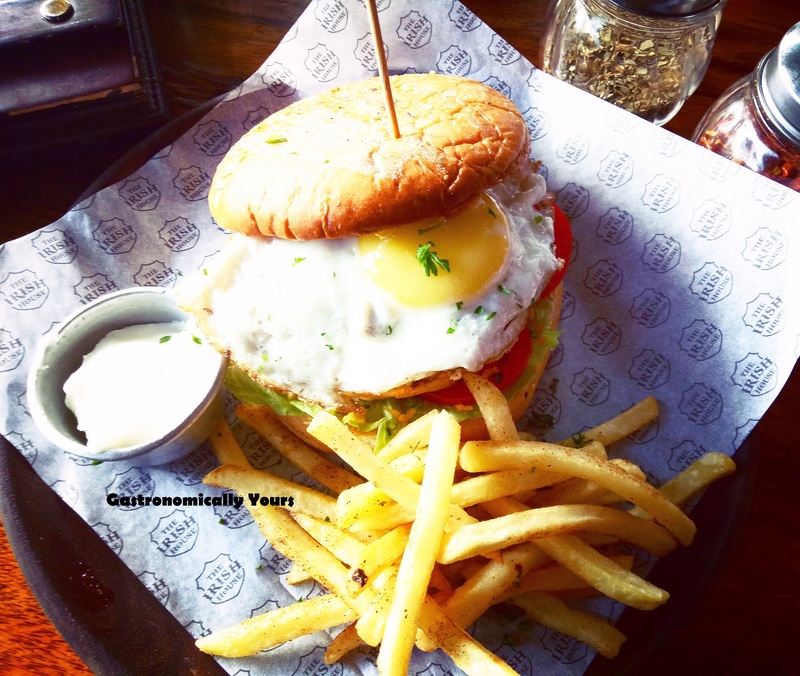 The Irish House Chicken Burger(Rs.345)- The patty inside the bun made up of balsamic minced chicken with cheesy jalapeno sauce topped with poached egg and caramelized onions served with fries and gherkins. Chicken patty was a bit hard. Good’ol Mac and Cheese(Rs.295)- Fries topped with classic cheesy macaroni and cheddar a very super delicious and yummy dish. They have a vast menu of drinks,& the most prominent part is when most of the lavishly portioned servings appealingly complement the mood. 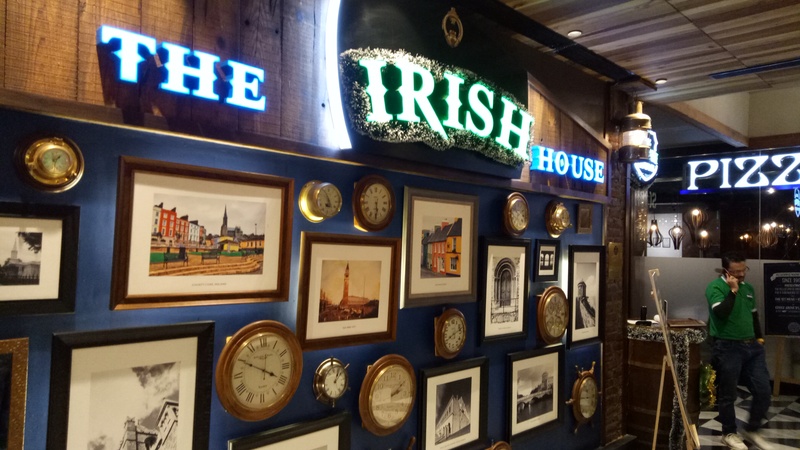 The Irish House has some of the best cocktails and alcoholic beverage(Don't miss out the Happy Hours @5.PM onwards every day). This place is worth its money.